Atomic Energy Regulatory Board says plant complies with all safety directives requested by India’s Supreme Court. 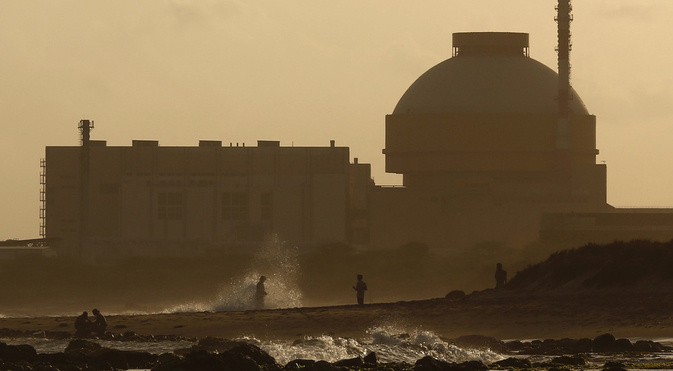 After completing a Supreme Court-mandated review, India’s Atomic Energy Regulatory Board (AERB) on Thursday gave its approval for the first approach to criticality (FAC) of the Kudankulam Nuclear Power Project’s first unit. The approval was given after the plant complied with all the safety directives of the Supreme Court, AERB said in a statement. “FAC is the commencement of the controlled nuclear fission process for the first time and is a step towards the subsequent beginning of power production in a nuclear reactor,” AERB said. Once the unit attains criticality, it will be run without producing power initially, followed by small units of production until the output reaches the maximum. “Several number of low power tests will be carried out in order to verify the conformance of reactor characteristics to the design objectives before granting clearance for the next commissioning stage which is the phase-wise increase in reactor power level,” AERB’s statement read. “Unit-1 of KNPP is a VVER (Russian) reactors located at Kudankulam with an installed electric generating capacity of 1,000 MW and is the first commercial Pressurized Water Reactor-based nuclear power plant in the country,” AERB said.